If you’re a property owner, you probably already know that ROI — Return on Investment — is a key factor in the profitability of your real estate investment. If you’ve been in the property business for some time you may already know a lot about what makes for good ROI and what doesn’t. 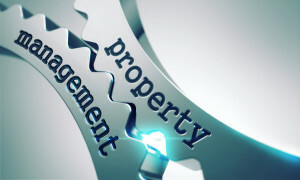 But for those owners who may be new to the business, or even for multiple property owners who have a lot on their plate and don’t have time to focus on everything at once, property management services can often advise on and help with these issues. Let’s take a look at some common mistakes some owners make in the course of establishing their property business. You may have the greatest property in the world, but do you have the greatest tenants in the world? Do your tenants pay on time, month-in and month-out, without harassment or delinquencies? Do your tenants leave you alone and never complain about infrastructure issues, neighbors, maintenance or supers and leave the property in as perfect a condition as it was the day they moved in? Unless you’re lucky enough to have the best tenants in the world, at some point you’ve likely dealt with at least some of these issues. One of the biggest causes of poor ROI is tenant rent delinquencies, property damage and/or early move-outs. Fortunately, this is one of the easiest problems to solve, because checking up on tenants before they move in is fairly rudimentary. Background checks, credit checks and housing court checks are all easily performed and well worth their costs. If you don’t know how to do these tools, you can always contact or a professional property management firm to help you. Small repair issues can quickly turn into big repair issues if left unattended. For instance, take the example of a roof leak. At first, this may appear to be a minor inconvenience, and the symptoms could be dealt with. But if the root cause isn’t fixed, this problem can become a major headache down the road. Imagine that in the beginning, it’s just in one spot on the roof that you can’t exactly pinpoint, so you patch it, hoping that solves the problem. Months go by, and you forget about it, only to discover one day that water has found its way around the patch and come down inside the walls of the building, and now you’ve got major water damage and mold problems that will cost thousands of dollars to clear up. Instead of just applying a patch, perhaps you should have replaced a section of the roof and nipped the problem in the bud — to be sure, a healthy expense upfront, but one that might have saved you even greater expenses down the road. Every property owner has plans for the property they buy, but often ROI problems can begin even before the property is purchased. How? Because some property investors aren’t careful enough in selecting the property they want to invest in. ROI should always be the prime consideration when purchasing a property and other factors should be secondary. Unless you’re in the business of charity, you’ve got to be realistic about which properties will make you money and which properties are money losers. When you look at a property, it’s likely that you’ll be able to spot major issues right away; sellers may even inform you of the biggest downsides straight off the bat. But even beyond these issues, did you hire a good inspector, who can further detail weaknesses that aren’t immediately apparent? Did you hire an appraiser, who can realistically tell you what a property is worth in relation to other properties in the neighborhood? Did you take the time to speak with other landlords in the immediate area to see how their business is and what kinds of issues they’re facing? Have you done research with real estate companies and property management services to find out about neighborhood trends and cycles that could affect the rentability and/or market price for the property’s units? Just because a property is capable of pulling in income today doesn’t mean it will continue to do so tomorrow; it pays to not just look at the present situation, but to be able to extrapolate into the future and figure out if the rental and neighborhood trends are working for you or against you. Even if indicators are good and it looks like rents in the area are rising, sometimes this can actually be the kiss of death, particularly if a market is near its peak in terms of pricing. It’s notoriously tricky to spot peaks ahead of time, but if you examine past cycles and speak with longtime landlords in an area, you may be able to get a better sense of whether a positive trend that is currently in place is about to turn around. Rent trends, mortgage rates and interest rates should all be taken into consideration. You don’t want to be left “holding the bag” if the market suddenly reverses. Try to get a better sense of why a seller of a property you’re interested in is selling, other than the reasons they may be offering you. Do they know something you don’t? Is a giant new sports arena going to be built nearby the property that will block its views or sunlight? Is the city planning on putting a new highway through one block over? Very often, timing is everything when it comes to real estate investment, so it pays to be in touch with experts such as real estate agencies and professional property management companies, who may know more about the local area than you do. A lot of these pitfalls can be avoided by working with a professional property management company that’s in business to assist property owners like yourself every day. They can advise you on all of the above scenarios and even take over the management of some of them. By taking away some of the burdens of these pitfalls, you can obtain greater peace-of-mind and be able to focus on any remaining issues at hand. In most cases, you will find their services invaluable.